The first ever certified Kosher restaurant is set to open in Tokyo, Japan’s capital city, next week, a culmination of the efforts of local Chabad Shluchim Rabbi Mendy and Chana Sudakevich. 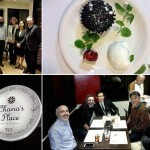 The restaurant, called “Chana’s Place,” is located in the Chabad House in central Tokyo’s Takanawa neighborhood. It is expected to serve the hundreds of Jews living in the city, as well as the thousands of Israeli and Jewish tourists visiting Japan every year. 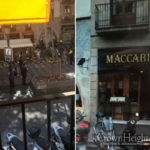 The restaurant was initiated by Rabbi Mendy Sudakevich, who named it after his wife, Chana. It has 14 indoor seats and another 48 seats in the garden. The restaurant already began operations several weeks ago for special occasions by appointment, but will open to the public on a regular basis starting next week. 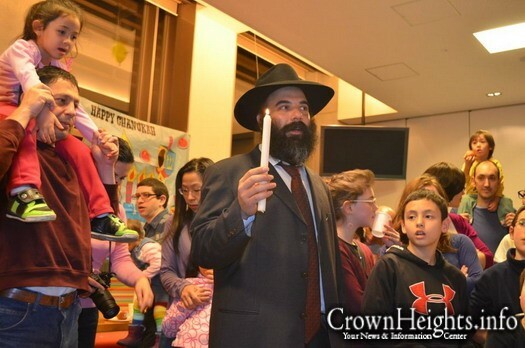 Rabbi Sudakevich, who has been living in Japan since 2000, says Tokyo has hundreds of Jewish residents from Israel, North America and France. In addition, 13,000 Israeli tourists visit Japan every year. The rabbi estimates that the number of tourists will increase as the relations between Israel and Japan tighten following cooperation agreements signed between the two countries. He says this is the first restaurant with an official kosher certificate in the Japanese capital. The city does have a falafel stand, “King Falafel,” which has been certified as kosher by a different local rabbi, Binyomin Edery. Tokyo has a number of non-kosher Israeli restaurants and one hummus bar. The new restaurant will serve hummus, shakshuka, different types of eggplant salad and other Israeli dishes. The new restaurant is not the rabbi’s first Jewish initiative in the Japanese capital. 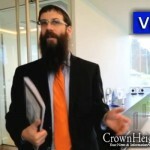 About two years ago, he and his wife set up a strictly kosher mikveh (ritual bath) in the city.